This book provides students with a deep, working understanding of the essential concepts of programming languages. Most of these essentials relate to the semantics, or meaning, of program elements, and the text uses interpreters (short programs that directly analyze an abstract representation of the program text) to express the semantics of many essential language elements in a way that is both clear and executable. The approach is both analytical and hands-on. 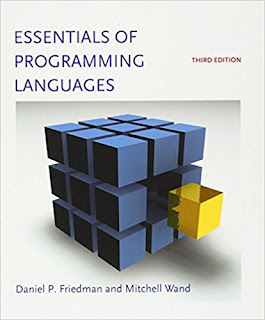 The book provides views of programming languages using widely varying levels of abstraction, maintaining a clear connection between the high-level and low-level views. Exercises are a vital part of the text and are scattered throughout; the text explains the key concepts, and the exercises explore alternative designs and other issues. The complete Scheme code for all the interpreters and analyzers in the book can be found online through The MIT Press web site. For this new edition, each chapter has been revised and many new exercises have been added. Significant additions have been made to the text, including completely new chapters on modules and continuation-passing style.